Xcode 10 lets you create a global .gitignore file so you don’t have to create a .gitignore file for each project you create. 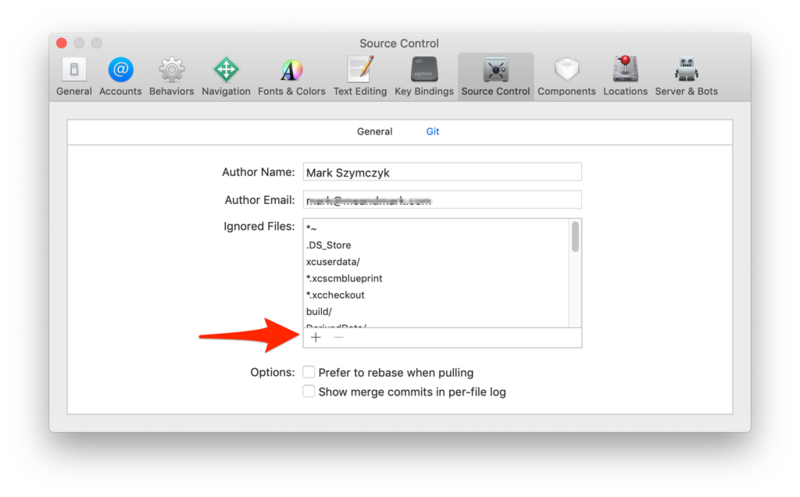 Go to Xcode’s Source Control Preferences and click the Git button in the preferences window. You most likely have an empty list of ignored files. Click the Add button to add files to ignore. Adding files to ignore from Xcode is a little tedious. You have to add one file at a time. But you only have to enter them once.